Yesterday the volunteers joined Jenny and I to defrost by our toasty fire on Long Island. 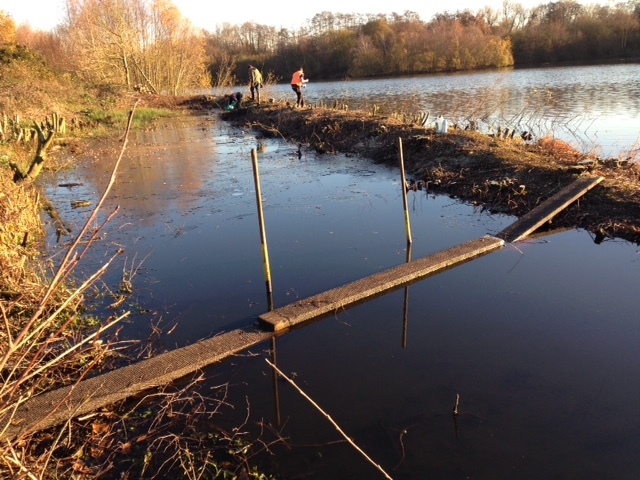 The main task was to finish clearing trees from the narrow earth bund around the scrape on the SW corner of the island, a job we kicked off back in October with the Xylem Volunteers. Tony and Kathy created a roaring fire early on, whilst Mike and Duncan bravely built a temporary bridge across the open end of the scrape. It was rather tricky breaking the ice to position the crates, then resting the planks on top, but it was ideal to reduce our tramping. The remaining trees were no match for the volunteers who used bowsaws, and a saw-on-a-stick to cut the willow growing into the water. 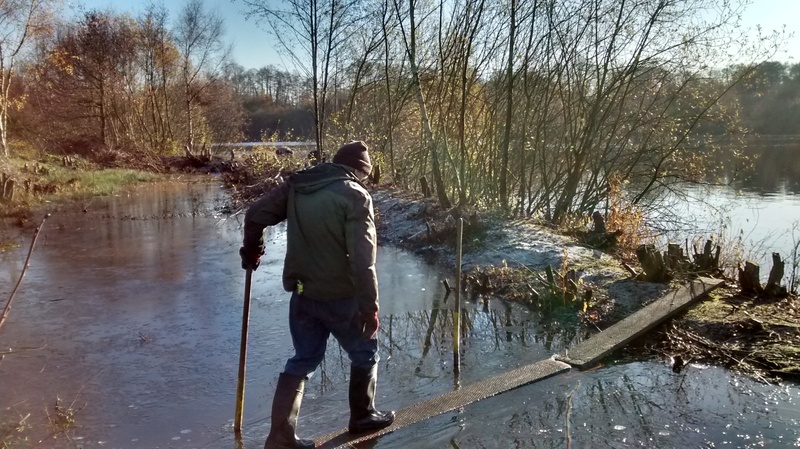 Finally we stumped up with the chainsaw to provide a newly cleared open scrape ideal for emergent vegetation and wading birds. You can get a good view of our work from the Bird Viewing Screen on Colebrook Lake South if you’d like to take a look. Thank you to everyone for a fantastic task. 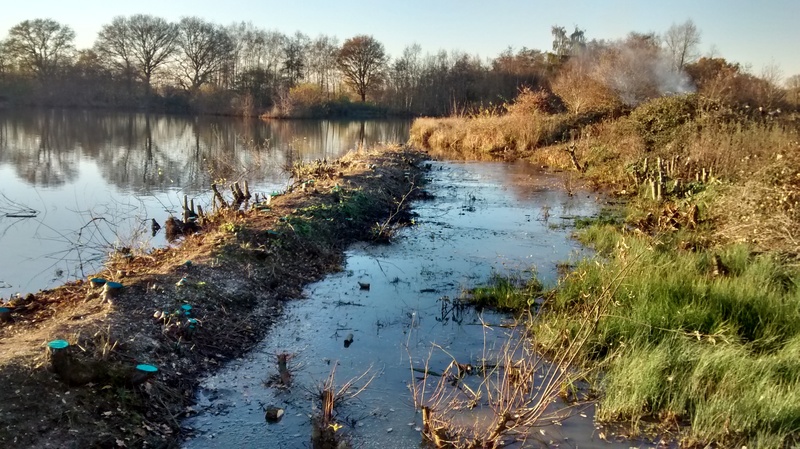 This entry was posted in Conservation, Moor Green Lakes, Volunteers and tagged Moor Green Lakes, Tuesday Volunteers, Volunteers. Bookmark the permalink.